Portable Appliance Testing (PAT) is carried out on electrical equipment, to ensure it is safe to use. While some electrical faults can be detected by visual inspection, others may only be uncovered by a competent individual conducting formal tests at appropriate intervals. Does The Law Insist It Be Carried Out? At the time of writing, there is no legal requirement for PAT testing in London or any other part of England. The 1989 Electricity at Work Regulations state that all potentially dangerous electrical equipment be maintained in a safe condition. However, the regulations don’t state what needs to be done, by who or when and there is no actual legal requirement to undertake this work. This, however, doesn’t mean there are no rules. 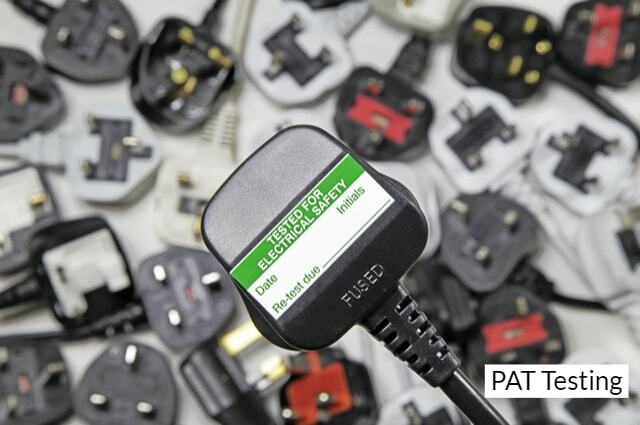 There are a number which relate to electrical appliances and the best way to comply with them is by using PAT testing. Because of this, the UK Health and Safety Executive – not to mention insurance companies – will expect that you carry out PAT testing. The Electricity at Work Regulations (1989). The Provision and Use of Work Equipment Regulations (1998). A Failure to meet the above regulations can lead to a fine of up to £5,000 and/or six months in prison. In some cases, though, fines as high as £20,000 have been handed out, while cases handled by the Crown Court have received punishments of more than two years in prison, on top of unlimited financial penalties. As you can see, the fact that PAT testing is not a legal requirement doesn’t mean you shouldn’t make every effort to meet all necessary regulations. Even though PAT testing is not demanded by law, the law does insist that employers, even those who are self-employed, ensure that every item of electrical equipment used or provided by their business is safe. Because of this, PAT testing is vital to a company’s health and safety policy and should be treated with due seriousness. It should never be forgotten that electrical faults are a potential hazard, especially if not corrected immediately. Therefore, even though PAT testing in London and the UK may not be legally required, the dangers posed by electrical faults are a matter that should always be understood and dealt with accordingly.